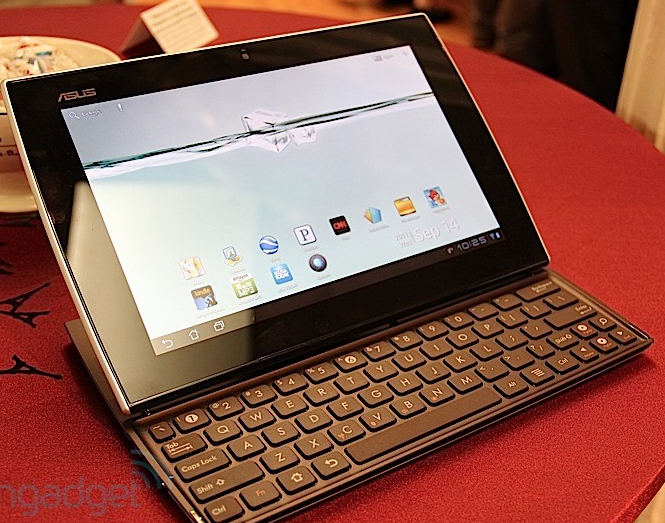 Since its debut at CES, ASUS' Eee Pad Slider has been a hotly anticipated device, blurring the line between tablets, netbooks, and webtops. After months of waiting, it seems the Slider is almost upon us - Engadget reported today that based on the information received at an event in New York, ASUS' latest entry into the tablet market will be available by the end of this month. Engadget goes on to break down their hands-on experience, explaining that the Slider looks quite elegant in person, and while the keyboard's sliding mechanism eats up a fair amount of space, it's still a relatively comfortable typing experience when processing words in "short bursts." This is aided however by the seemingly strong build quality. Head over to Engadget for the original story.